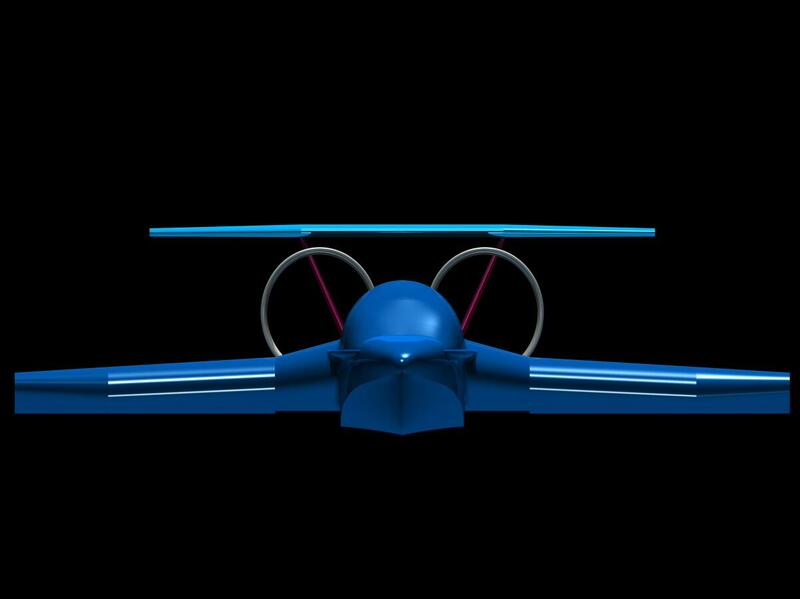 At the very end of a long history in developing Ground Effect crafts, we are proud to introduce SeaFalcon as the most sophisticated representation of this outstanding technological evolution. 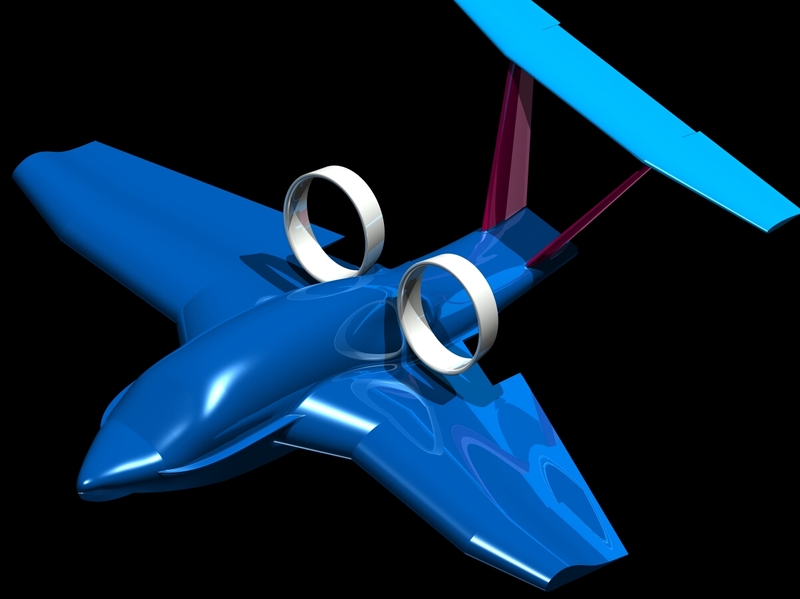 It combines technological inspirations from the "Caspian Sea Monster" with more than 20 years of practical experiences in Wing in Ground (WIG) craft development and newest research results from computer simulation and wind channel tests. SeaFalcon is an exclusive, extremely high speed, highly efficient marine vessel, it is registered, operated and maintained at typically low marine craft overheads. 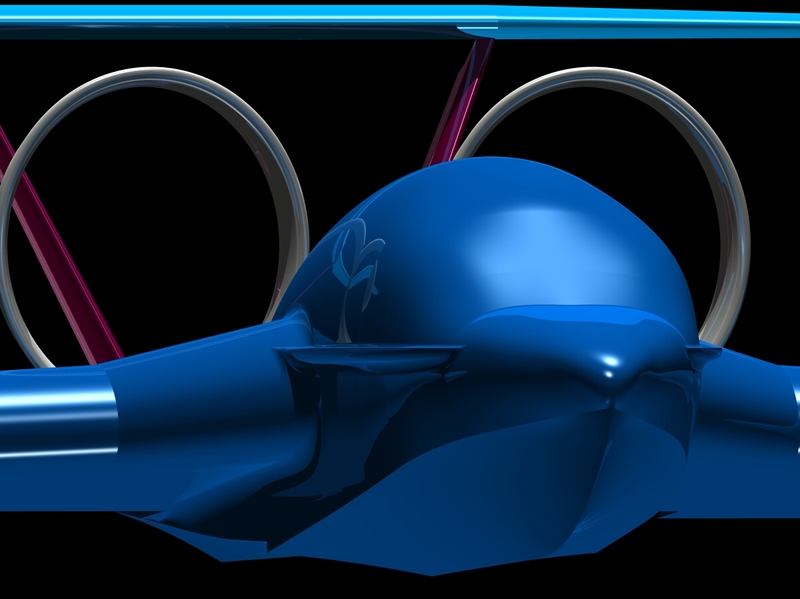 The vessel lifts clear of the surface to ride a self generated airwave at speeds over 180 km/h. 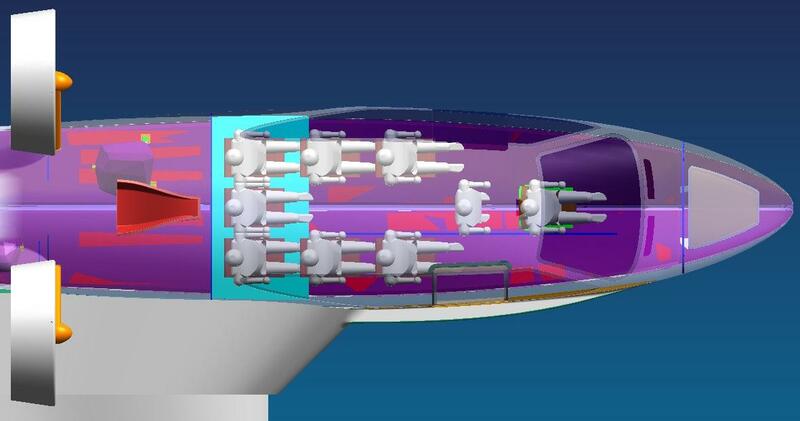 SeaFalcons hull is constructed completely in FRB (Fibre-Reinforced-Polymer) - technology, it has a unique aerodynamic design (based on the reverse delta wing technology), what makes it self stabilizing in Ground Effect. SeaFalcon has the most innovative state-of-the-art design of modern WIG crafts, developed over many years by an experienced group of German aeronautical engineers. It is much faster than comparable marine vessels, at the same time much easier to handle and much more efficient than comparable planes. SeaFalcon aerodynamic design provides an enormouse pitch stability in Groundeffect and also a better surface clearance height including kinetic jumps. 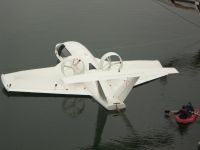 SeaFalcon does not require fixed runways, operating from water or in amphibious mode. 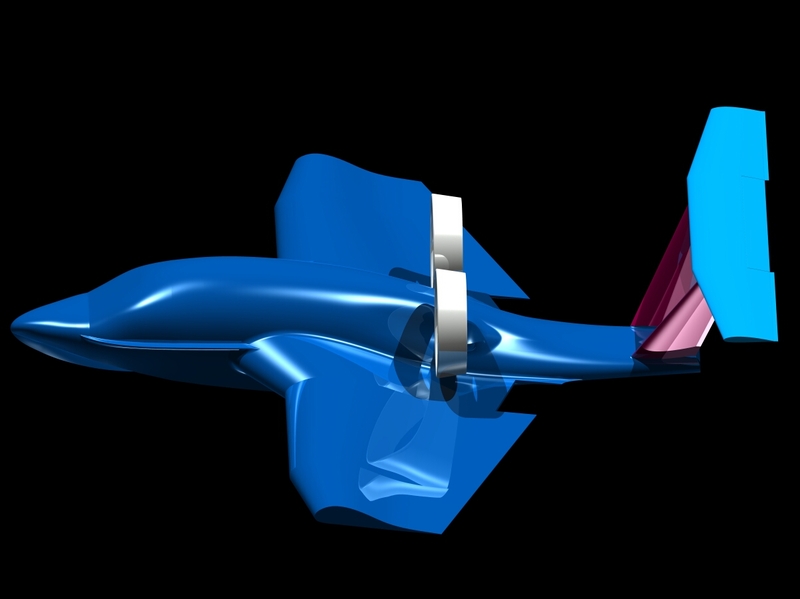 SeaFalcon has a unique design, without any compromise it is optimised for performance and stability in Groundeffect and especially for take-off and landing by a very individual implementation of the Reverse Delta Wing technology. SeaFalcon is constructed and manufactured complying with very high quality standards. SeaFalcon is one of the most efficient and environment friendly means of transportation available. With fuel consumption under 15 litre of diesel per hour (over 180 km), the SeaFalcon consumes as little fuel as an automobile, resulting in very low air pollution. The pristine waters of the paradisical places you visit wont be polluted by your SeaFalcon. 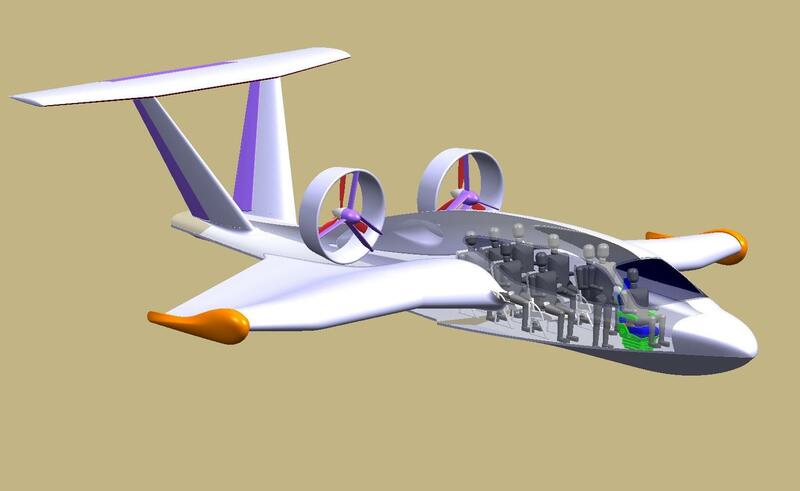 Because of its closed circuit water cooled engines, there is no fluid exchanged between the engine and the environment. Safety has always been our major priority. The SeaFalcon is equipped with many unique technological advancements to enhance your safety, providing you unparalleled peace of mind every time you flare. 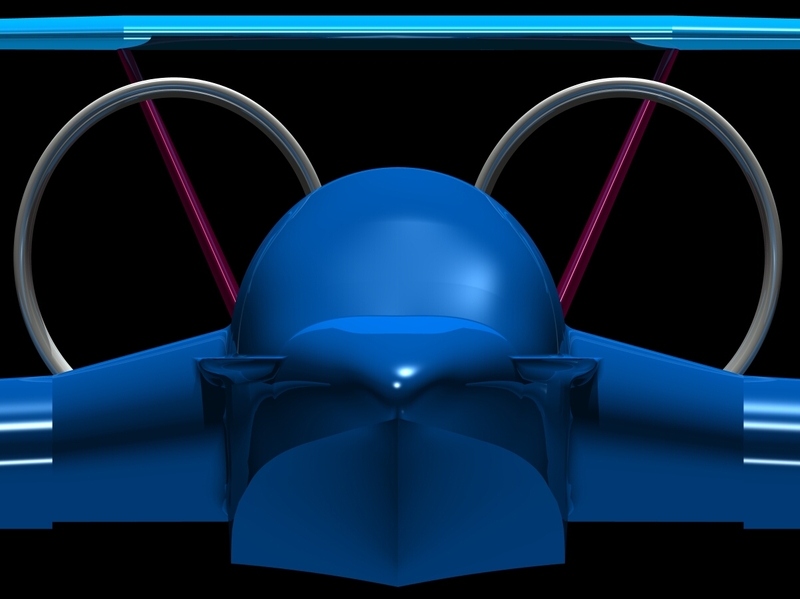 - For safety reasons, a sophisticated self adjusting measuring system of altitude, pitch angle and speed is in place. 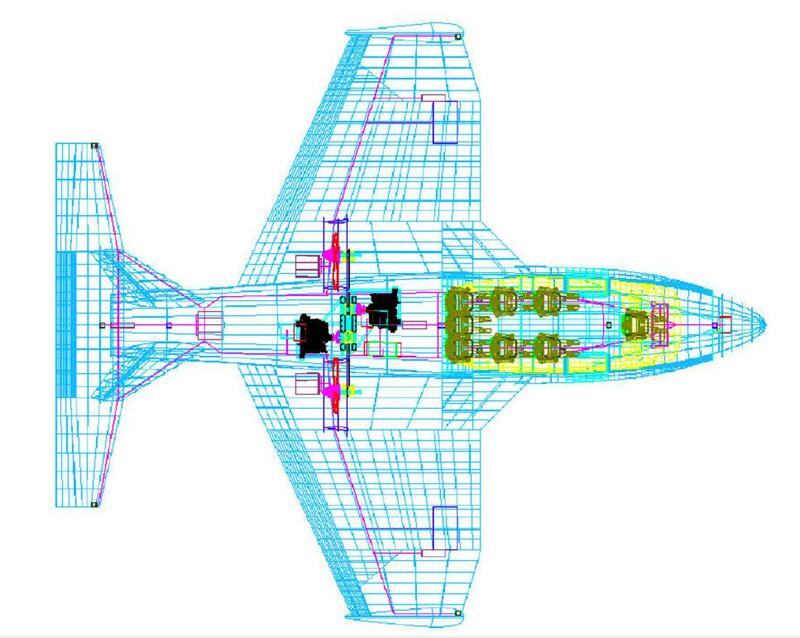 In the case of exceeding defined maximum values of these parameters, the position of flaps, rudders and/or the propeller thrust are automatically changed. The up close view of the sea spread out beneath you. Enormous gull-wing style doors allow for easy entry and egress from the SeaFalcon and its big picture windows brings even back seat passengers close to nature.